Don't miss out on this gem of an idea! This beautiful, silver-plated bracelet measures 8" long and features 9 brilliant cubic zirconia stones set within the links. A perfect way to promote boutiques, jewelers, and other fine retailers. It also makes a great gift or reward for well-deserving recipients. Comes in an 8 3/4" x 2 1/4" x 3/4" box. 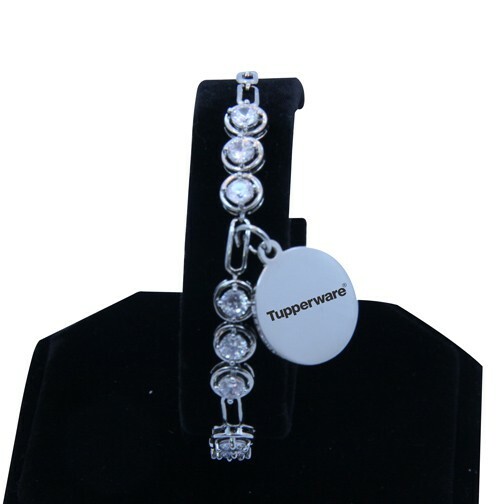 Customize this item with your company name and logo so everyone can see what a jewel your business is!